If you find that soap and shampoo don’t lather well, dishes are spotted, the bathtub has a ring, laundry is dingy, and the coffee maker has scale deposits, your home probably has a hard water problem. What is hard water? It is simply water that is rich in minerals such as calcium, magnesium carbonate, and manganese. Though these minerals are natural and not typically hazardous to health, they can create deposits in your plumbing, water heater, and other water-using appliances, and make washing dishes, clothing, skin, and hair more challenging. Water softeners are relatively costly appliances, so it pays to make a wise choice when buying a new one. You’ll need to understand the differences between basic types, such as dual-tank models, salt-free water softeners, and more. And you’ll want to be familiar with typical options, types of controls available, and how to properly size a unit. 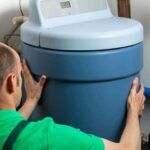 For complete information on buying a water softener, see the Water Softeners Buying Guide. Water softeners are appliances that minimize the mineral content of water; they are connected to the home’s water supply piping. 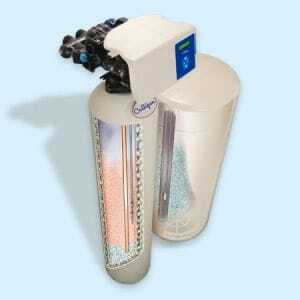 A conventional water softener softens water with the help of negatively charged beads inside the appliance’s tank. These beads attract the positively charged ions of the minerals in the water. Sodium chloride (salt) is used to recharge the negatively charged beads. 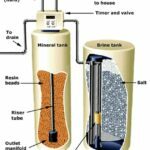 For more about this process, see How a Water Softener Works. If a municipal water company supplies your water, you can ask it for the hardness data. 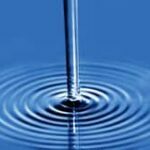 If your water comes from a private supply or a well, you’ll probably need to test it yourself, which is easy and relatively inexpensive to do. For more about testing your water, see How to Test for Hard Water. Installing a conventional whole-house water softener system is a relatively easy job for an experienced do-it-yourselfer. The job involves cutting into a water pipe and joining together some new pipes and fittings. For complete step-by-step information, see How to Install a Water Softener System.